Geomorphologically this is a part of Osp, but there are actually three different crags. 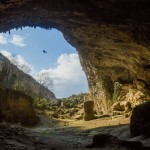 Srnjak is a nice sector, but in the shade of other areas, the climbing in the Big Wall is slowing down for a while, but your true attention should be directed at the magnificent Castle cave or Spider‘s roof with epic routes in a sea of tufa. Great 7s soon transform into 8s and even higher – two 9a‘s are accompanied by some projects that are at least as hard. 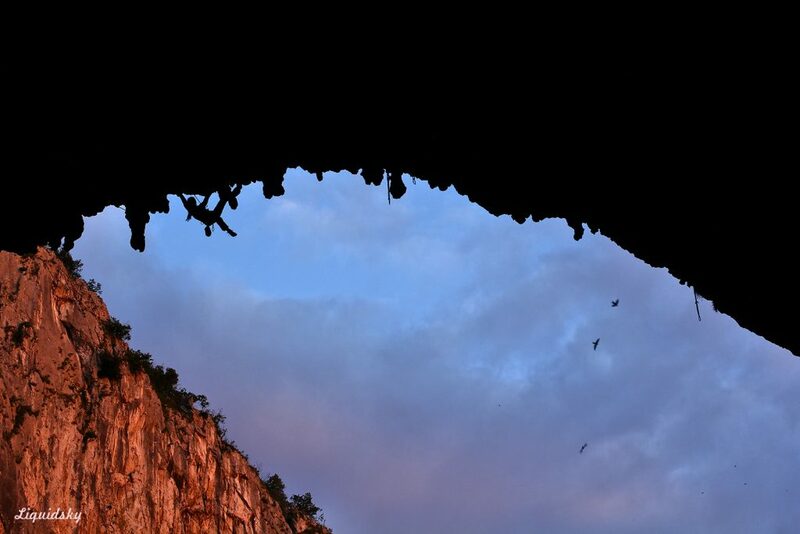 So join Bečan, Škofic, Sova,… at the creation of the exciting Slovenian climbing future. After you park your car at the appropriate spot (if there is no official parking space in the village use the parking space for Mišja), return to the beginning of the village and turn uphill at the bridge until you reach an old playground, from where you follow the path up towards the wall, over three bridges and some slopes. For Srnjak go left before the steep slope and cross the dry riverbed, which can also lead you to Luknja with some creative walking. 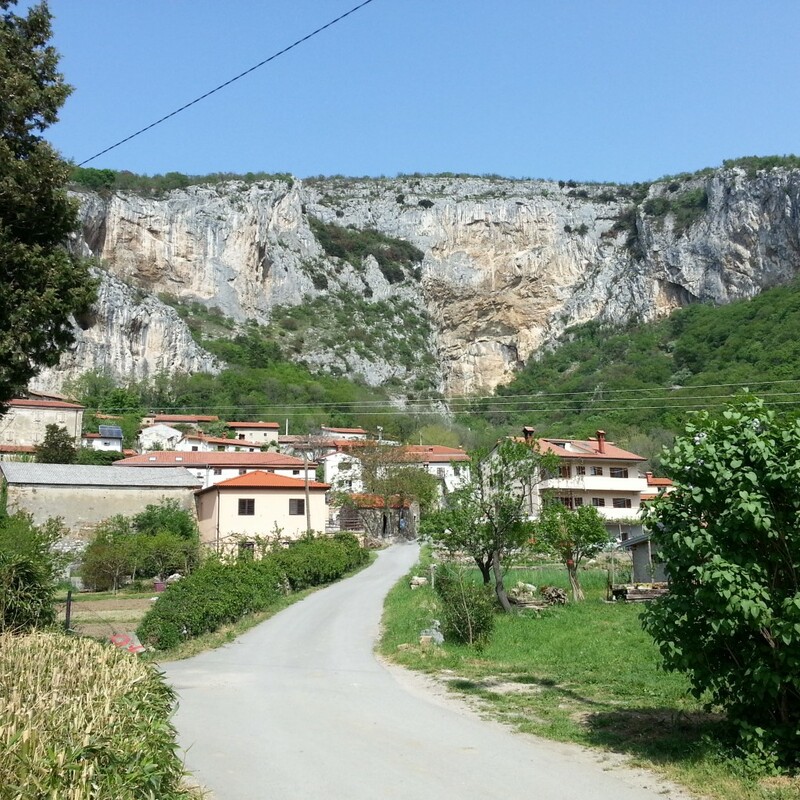 There is also a shortcut between Banje and Srnjak (that passes some boulders). 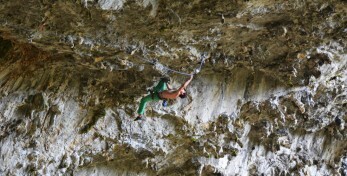 There are three points to lower off the Big Wall: on top of the routes Steber spominov, Medo and Italijanska smer. You can also walk and the path will lead you to Banje sector. 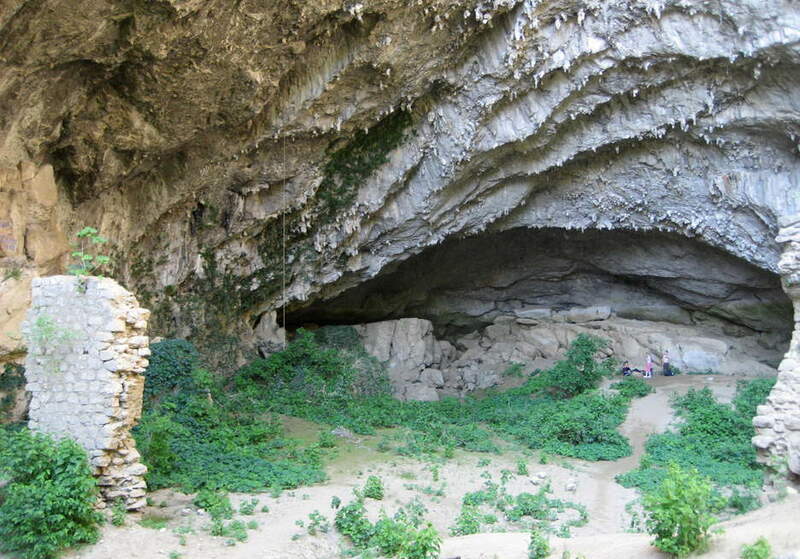 For Srnjak and Big Wall you will need a nice day, but Luknja is dry and sheltered. 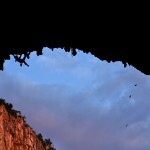 As it is in the shade of Big Wall, you can also climb here in summer. 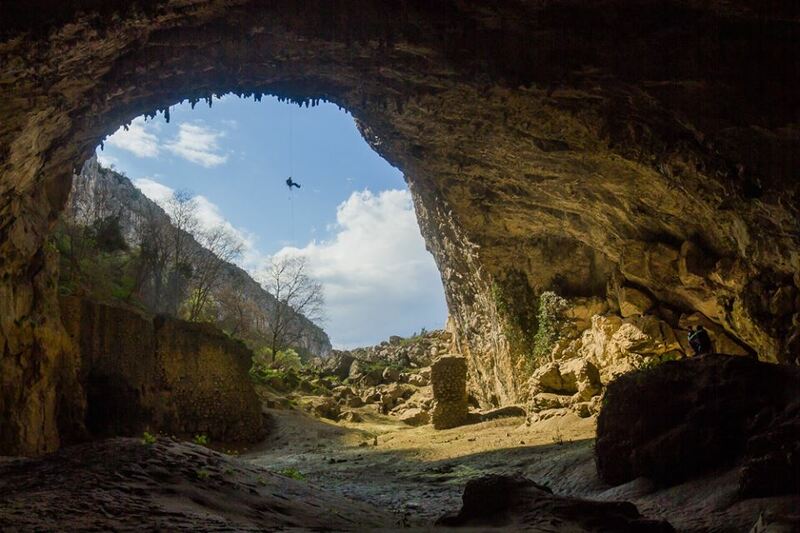 Climbing can be stopped by the unpredictable lake – the source of Osapščica river, which depends more on the weather in northern regions – unless you are ingenious like MacGyver and use a boat. After the rain the tufas get wet. 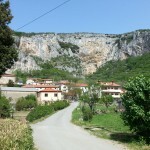 In Luknja the rock is excellent – but a tufa or two may break off (so belayers watch out!). On the edges the rock is sometimes quite rotten. Big Wall deteriorates more on the upper part, where you also need some courage and experience with climbing multi pitches. Routes are bolted nicely, but do mind the worn out quickdraws. 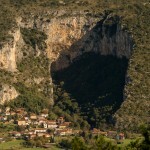 There is room for the entire village under the wall. 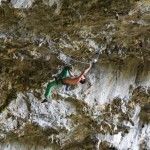 Routes are looong, even over 50 meters, but due to the overhang you can use 70-80 meter rope. You will also need a lot of quickdraws, at least 16. For the Big wall you usually don‘t need extra gear (nuts, friends,…), but they can come in handy.. Watch out, as the sand deteriorates you gear. 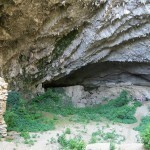 In Srnjak and Big Wall it is advised to wear a helmet. 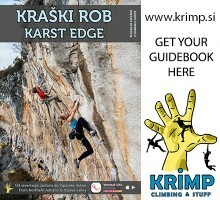 Srnjak offers easier vertical routes with sharp holds and small footholds. 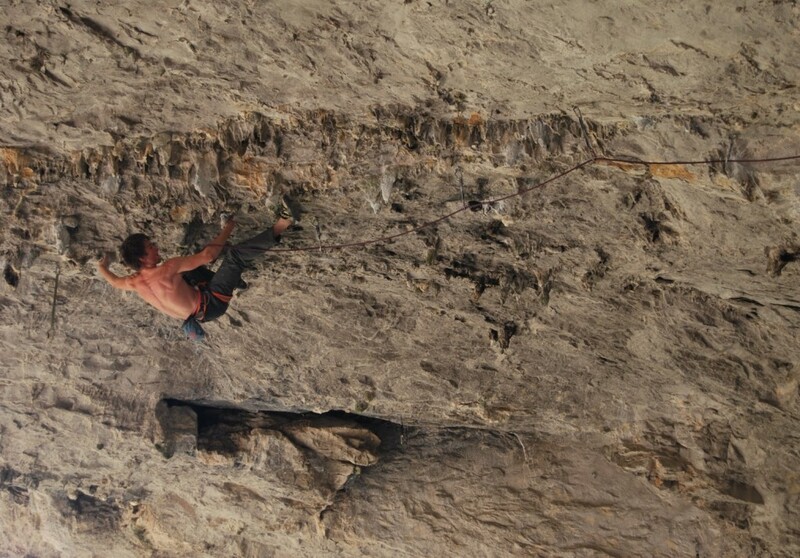 There are some nice multipitches in the Big Wall, but take your time with those. Luknja has classic endurance pieces, the best from 7a and more. The holds are good, with many tufas and mushrooms. 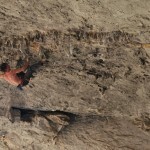 You will get a a lot of pumping until you get cramps, true 3D climbing and many interesting cruxes. Of course you need to adapt to this style a little, but once you get going, it‘s the best. 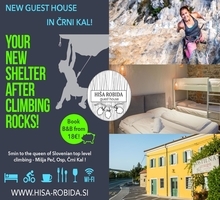 New guest house in Črni Kal, only 5min to the queen of Slovenian top level climbing – Mišja Peč, Osp, Črni Kal! 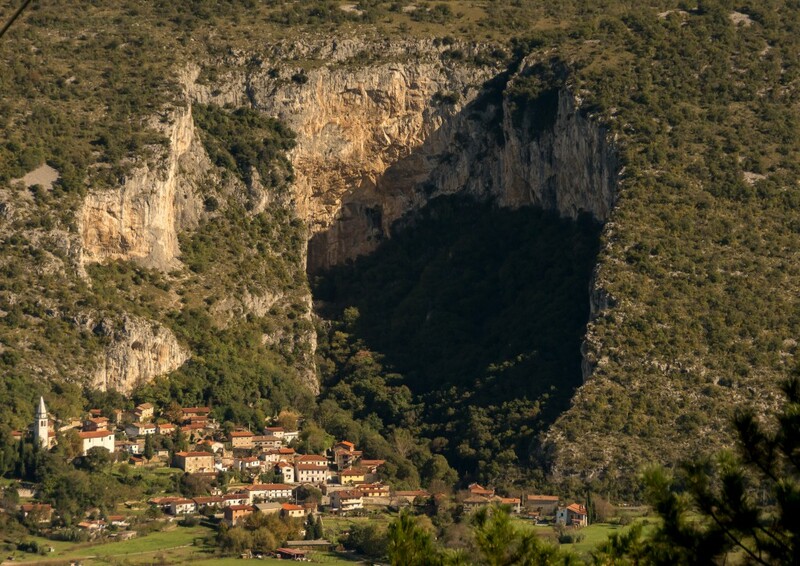 Best views of the Slovenian Istria. Stone House with tradition. Gourmet pleasures in the restaurant Kraški rob. The elegantly furnished 5 rooms with a bathroom & 6 rooms with shared bathroom, toilet. 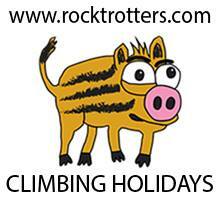 The best climbing weekends & holidays (also guide/ coach). Book B&B from 18€! 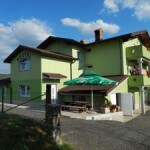 Bed & Breakfast Vongola in Izola is made for climbers who desire something more then just climbing in nearby areas. The vicinity of the sea, the smell of fresh Mediteranean air, comfy rooms and tasty breakfast will fulfil every climbers’ soul and will give you some extra energy for climbing as well as for your daily activities. An extraordinary venue that is really worth a visit. Once you will visit us, you will return, for sure! Climbing in Luknja dates to the very beginning of conquering the Osp wall, only then, in the 80s it was mostly aid climbing, with ladders and pulling on ropes. Spider‘s roof was at the time the longest traversed roof in the world with 190 meters, which was accomplished by mountaineering legends Karo, Jeglič and Knez. You are still in the Osp area, so the strict rules about behaviour and especially parking still apply! Also mind the prohibitions applying to the Big Wall.